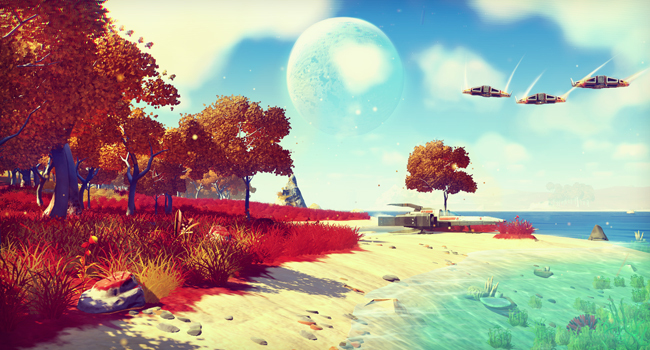 Again, hipster alert, but I did see rather more promise from the indie devs on show – a point personified by the touching, almost reverential, manner in which Sean Murray of Hello Games introduced the studio’s No Man's Sky at Sony’s press event. While I do have a concern that there's little there in terms of an actual game, I certainly have a lot of time for a small team determined to do something different... particularly one based in Blighty. Here’s hoping that No Man's Sky not only delivers, but also sees a release before the goodwill directed towards it collapses. Similar praise can be poured onto a host of other indie devs: Giant Squid (Abzu), Valkyrie Entertainment (Guns Up! ), Playdead (Inside) and Free Lives (Broforce) are but a small selection of teams bravely charting untested waters. 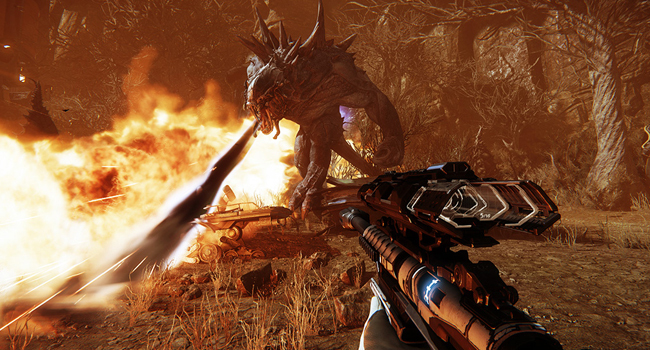 The ying to the indie devs’ yang is undoubtedly the growing trend in 1080p, 60fps makeovers. I'm still unsure what to make of the likes of GTA V, Metro: Last Light and The Last of Us getting a re-release so soon after hitting shelves. I suppose a verdict can only be truly drawn when the remasters see the light of day. If there’s a genuine case to be made for the benefit of better visuals, then so be it. All I do know is that I won’t be rushing out the shops on launch day for the vast majority – especially when you can imagine most dropping in price at a rapid rate. That said, I'm much more willing to get onboard with similar treatment for Grim Fandango and Halo 1-4 (in the guise of the Master Chief Collection). At least here there’s a much more obvious case to be made for their revival. I haven’t experienced online Halo: Combat Evolved since an old flatmate used a tunnelling hack together with a chipped Xbox (now those were the days). While Grim Fandango is, well, Grim freakin’ Fandango – who doesn’t want to take another step out in old Manny’s undead shoes? Finally, at least as far as the games go, we come to the no-shows. No doubt we all have our favourite vapourware, but I presumably share common ground with most in naming Half-Life 3 and the The Last Guardian. Typing these names alone is enough to make me feel cheated. Damn you, E3! The hardware shown at E3 is much more difficult to judge. What to make of Sony’s Morpheus and the Oculus Rift – VR headsets that, let’s face it, probably won’t make it into most gamers’ lounges. Certainly not in the near future, at any rate. I'm as geek as anyone else here, but might have to give a polite shake of the head when it comes wearing a tech-filled bucket on my couch. What would my cat think? Then there’s the even more weird and wonderful. The SteelSeries Sentry Eye Tracker springs instantly to mind with its ability to feedback on your observational skills. Therefore teaching you to become that bit more clinical in your FPS forays – what will the Democrats think? There was more useful tech news with the announcement that PlayStation Vita TV will be hitting the UK. Not that I really need yet another way to throw Netflix around my house, but I'm certainly looking forward to trying the device's ability to throw the PS4's output to another TV wirelessly. If Sony can get that (and the PlayStation Now game streaming facility) working without lag, then what PS4 owner could really afford to say no? When the dust settles on E3 2014, the real question is: where do we go from here? For better or worse, we're slowly being introduced to games where other people – their grunts and all – form part of the narrative. They are games with believable worlds that expect us to go out and form our own narrative. Exciting, no doubt, but as usual we only got to see glimpses and hints that can all too easily be misleading – here’s looking at you E3 2012 Watch Dogs.